UPDATE (December 4, 2008): It has finally arrived! HP Vivienne Tam “digital clutch” is now available for order at www.hpdirect.com/minivt. If you order by Dec. 12, you can get one just in time for holiday giving. A few days ago I was approached by HP to check out their new special edition notebook. This stylish product took my interest and drove me to share the news! Vivienne Tam has paired with Hewlett-Packard to design a special edition notebook available early next year. The lightweight notebook has an uncanny resemblance to a silk-print clutch with its rich colors and peony print. During Fashion Week in New York, Tam incorporated the print into her Spring 2009 line and the invitations to her show. 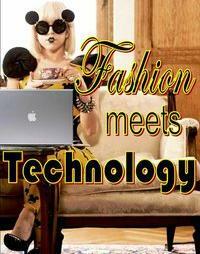 Finally, technology and fashion come together. It’s smart on HP’s part to join with a fashion designer because it opens access to another type of audience. The notebook is targeted to the fashionable woman with a busy lifestyle who puts importance and thought into the style of her possessions. HP has highlighted reactions to this product on their Facebook profile. The women explain how impressed they are with the notebook’s size and stylish design. I feel the same way and can’t wait to get my hands on one of these beautiful HP notebooks. What are your thoughts on this HP notebook?